Mobile app industry has long been a part of our system and also brought many life-changing updates especially in the business sector. Most of the companies are taking advantage of integrating their business process with the mobile app technology to cater to a wider audience. There are millions of apps in the App store meaning numerous choices with mobile users to pick from wide and variety of apps. Moreover, there is more to it if you are an app developer. You’ll to need to keep up with the latest trends to stand apart from the competition. Your app needs to be unique or at least solve a critical customer issue along with being appealing, intuitive and user-friendly. The Apple HomeKit is like a command centre that allows a user to communicate and control all the connected devices & accessories with the help of an app. HomeKit is majorly driven by Siri voice command and can be optimised for the specific group or house members to make operating much easier. This has paved the way for iOS app developers to come up with the niche features and functionalities to attract users. Also, iOS app development companies will be in the talk if they develop such trending apps that can integrate well with the HomeKit. IoT has been caught in the momentum as one of the most trending technologies of 2018. The main reason that could be based is that it facilitates connection as major iOS developers are striving on integrating internet of things to connect with internet-enabled devices. The app developers have already managed to provide better connection facility in the apps. With the recent and on-going efforts, iOS app development companies are suggesting that the internet of things seems to have a bright future. iOS app developers see IoT as an add-on element and a lot can be achieved with proper assistance to make this more useful for the mobile users. Mobile app developers no matter iOS or just iPhone app developers but also Windows and Android app developers, all have to brainstorm to make the app user-friendly. This search drives them to derive and come up with innovative features that can play marvel for app users and in-turn making the app famous across the community. With all the recent development, Apple pay is going to become much more user-friendly soon. User-friendliness of an app can be segmented in a way the app allows a user to access its features and everything while app gets the work done efficiently without any interruptions. Apple pay is a revolutionary app by Apple to facilitate users with the financial transactions. It combines the easy payment system with a secured transaction and offering trustworthy sources of payments. Apple pays recorded a substantial jump in the total number of transactions as its own facility allows users to avoid using a mobile wallet and pay through their own. All this is possible via near field communication in the iPhones. It is known that Augmented Reality is of a very big significance in mobile technology. While AR is imperative for all mobile app developers to use AR in the new age mobile apps but for iOS, the importance is of ARKit. ARKit empowers iOS app developers to create 3-D mobile as well as virtual-based mobile apps. Partnering with Amazon has given Apple to take ARKit research & innovation at the new level. The purpose is to bring a new experience to the users which have never been felt before. With Amazon indulging in the development of ARKit, it is bound to become more lucrative to the users. Additionally, more and more businesses are trying to bring in AR and VR in their apps allowing them to upscale their service requirements using ARKit for the clients and users. Soon you can expect to have a virtual ecosystem created by Apple by integrating the ARKit in its app development which can prove to be immensely helpful to clients in their business. The role of mobile app developers has doubled since Apple decided to provide high performing hardware update, just like ARKit. Upgrading the hardware support to enhance efficient processors into the device. Many components can be enhanced to a new level like lighting estimations, visual inertial odometer and virtual simulation, etc. 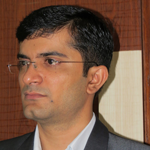 To utilize the full capacity of the new hardware, app developers need to ensure that the new apps built should be working in hand to hand with the new hardware. However, easier said than done and hence, this is going to keep iOS app developers busy for the upcoming years. The evolving technology is keeping iOS app developers on toes while on the contrary, developers are also innovating to keep up with the said pace. Apple is keeping everyone on the edge by bringing in new alterations and updates every few months which makes the iOS app industry see a huge transformation like never before. 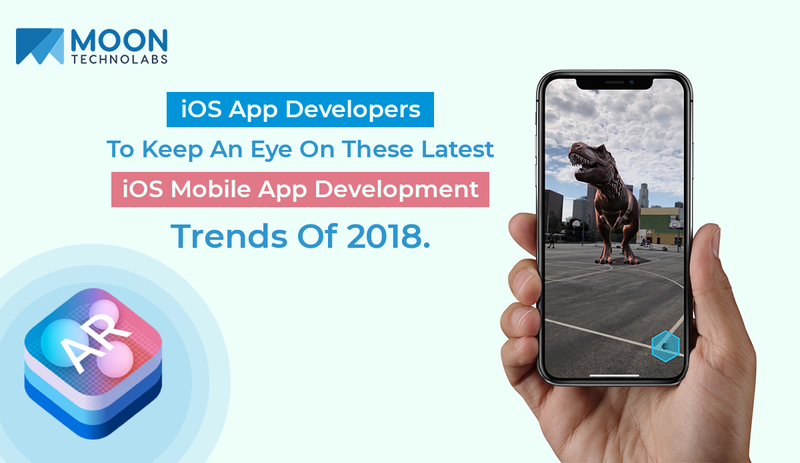 These are trends that matter the most and have ruled in developing iOS apps in 2018.